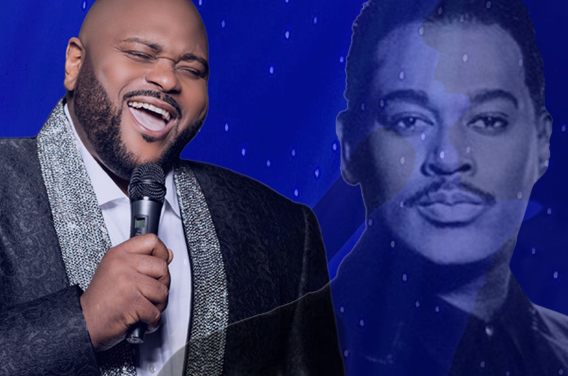 Since American Idol Season 2 winner Ruben Studdard showcased his smooth tenor on American Idol, the comparisons to the late legendary R&B crooner Luther Vandross have been endless. And yes, the Velvet Teddy Bear — coined by R&B/soul legend Gladys Knight while on the talent show — sung a few of Luther’s best-loved tunes during the competition and off the screen. 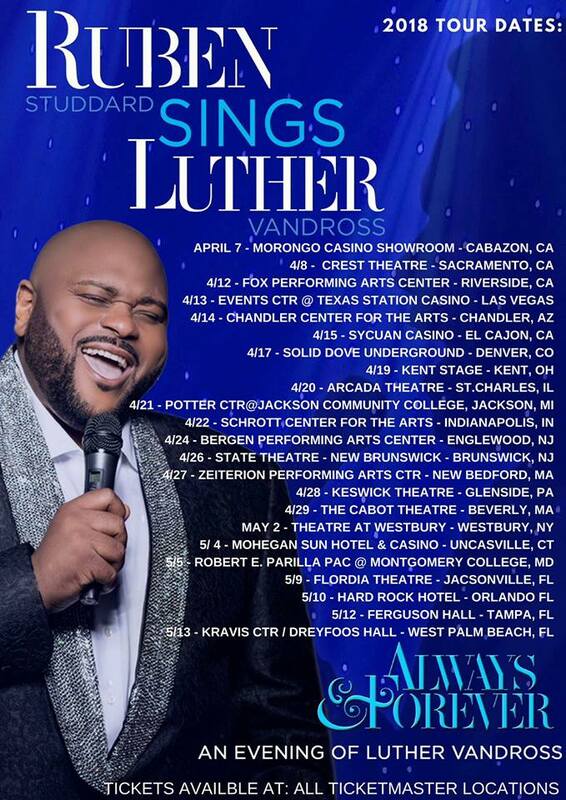 This time around, Studdard is hitting the road with a spring tour dedicated totally to Vandross, one of his musical influences. Titled “Always & Forever: An Evening of Luther Vandross,” the first leg of the tour, with 24 dates accounted for, will kick off on April 7 at the Marango Casino Ballroom in Cabazon, California and wrap up on May 13 at the Kravitz Center in West Palm Beach, Florida. According to an Instagram post on Studdard’s social media, a ‘Ruben Sings Luther’ tribute album is also in the works and will drop this March. Studdard also re-recorded “If Only for One Night” as a bonus track for 2006’s The Return. Tickets may be secured at Ticketmaster locations. To see a full list of the announced tour dates, see image below.